New routes from Bratislava: Cluj-Napoca, Kiev, Eilat, Warsaw! Bratislava airport in Slovakia quickly becomes a popular transport hub for low cost airlines and also all fans of low cost flights. 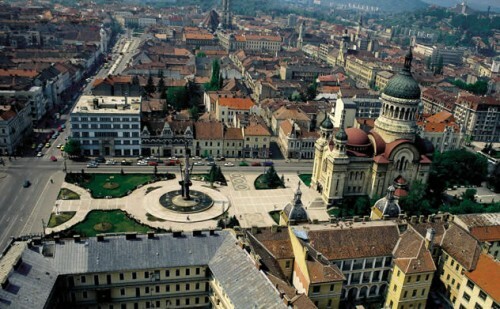 Wizz Air yesterday announced launch of new route from Bratislava to Cluj-Napoca in Romania. This new route is a part of massive expansion of Wizz Air in Cluj-Napoca. They announced 6 new routes from this airport yesterday. The new destinations from Cluj are Stockholm, Bratislava, Baden-Baden, Frankfurt Hahn, Larnaca and Malta. The flights between Bratislava and Cluj and also between Cluj and above listed airports will start operating from March 2017. The current schedule lists two flights per week from Bratislava to Cluj on Monday and Friday. Travel time is only slightly over 1 hour. The tickets are already bookable on Wizz Air’s website for prices starting at 99 RON / 22€ for one-way flight. Bratislava airport also recently saw announcement of 3 other new routes: to Kiev in Ukraine, Eilat (Ovda) in Israel and to Warsaw in Poland. The airport in Slovak capital currently offers 15 destinations and 51 flights weekly, aiming for 2 million passengers transported in 2017. Flights to Eilat will be operated by Ryanair twice weekly, to Warsaw 4 times per week by Wizz Air and to Kiev twice weekly also by Wizz Air. Official spokeperson of Bratislava airport also confirmed continous increase in amount of transported passengers. In November the numbers were highest in the last 8 years. Let’s hope for even more cheap flights and interesting destinations from the airports in Central and Eastern Europe!